Huawei’s 2-socket blade server FusionServer E9000 CH121 V3 underwent SPEC CPU2006 testing to break three blade server world records. The industry-leading scores were 74, 1790, and 1120 in the SPECint_base2006, SPECint_rate_base2006, and SPECfp_rate_base2006 test cases respectively. E9000’s score in SPECint_base2006 reflects a performance surpassing even comparable rack servers. This is the first blade server in the industry to outperform rack servers in this test, clear evidence of its superiority as a blade server. SPEC CPU2006 is CPU subsystem assessment software managed by the Standard Performance Evaluation Corporation (SPEC) and composed of two sets of tests. The first set, CINT, measures and compares integer computing performance, while CFP measures and compares floating-point computing performance. Results of these tests are a comprehensive and accurate reflection of the overall server performance, especially with respect to application processing. Featuring a converged architecture that integrates computing, storage, and networking, the E9000 is 20% more powerful than its predecessor thanks to its latest Intel Xeon E5-2600 v4 CPUs. 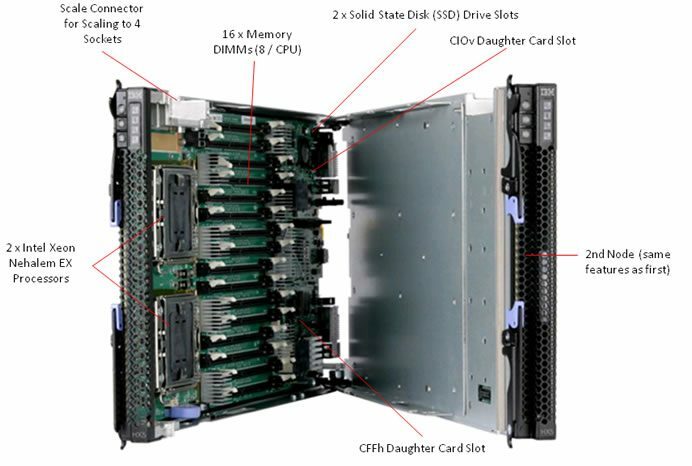 The E9000 has also upgraded its blades to better cater to customer requirements: board-level liquid cooling blades that consume 40% less power, all-flash blades that support up to 96 NVMe SSDs in a chassis, and 3.5-inch hard disk storage blades that support up to 48 3.5-inch hard disks in a chassis. When fully configured with all-flash blades (CH225s) using NVMe SSDs, FusionServer E9000 delivers up to 307.2 TB storage capacity per chassis and 10 million IOPS per blade. Huawei blade server shipments have ranked in top 3 in the world for multiple consecutive quarters. The servers are in use at more than 5000 customer locations in different industries including government, public sector, telecom, energy, finance, transportation, healthcare, education, media and entertainment, and manufacturing. Mystery of Missing Socks Costing the Average Brit a Whopping £2,528 Over a Lifetime Solved!